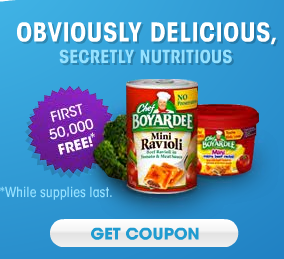 HURRY and request a VIP Coupon good for FREE Chef Boyardee Pasta here (bottom right corner). This offer is available to the first 50,000 people and is sure to go fast! Note: you will receive your coupon by mail.